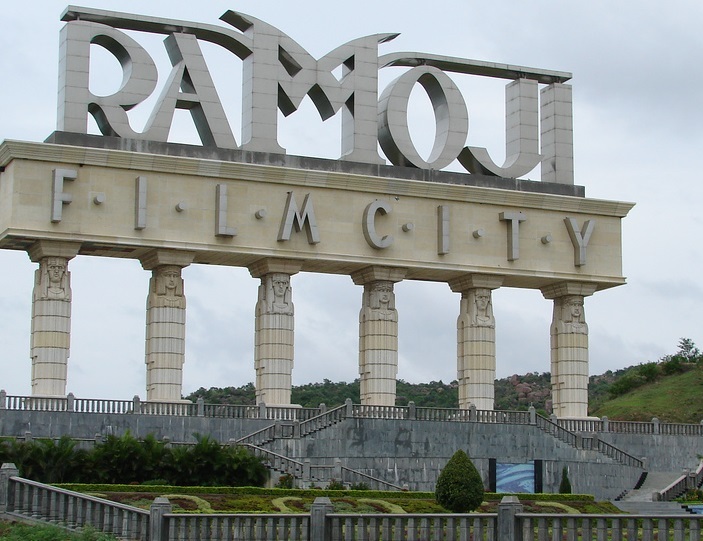 The Ramoji Film City in India is located in Hyderabad. Spread over 2000 acres, it is the largest integrated film city in Telangana and has been certified by the Guinness World Records as the largest studio complex in the world. It was built by Telugu film producer Ramoji Rao in 1996. It is also a popular tourism and recreation centre, containing natural and artificial attractions including an amusement park. Around 1.5 million tourists visit the place every year. The film city is the brainchild of film producer Ramoji Rao, who wanted to build a studio similar to the ones in Hollywood. On procuring the land, he signed art director Nitesh Rao to design the complex. According to an executive, the builders kept the land, which at that time consisted of jungles and mountainous terrain, intact, without removing one tree or mountain. The studio has a central kitchen for the various film units shooting at any given point in time. A few years after it was built, it was thrown open to the public, who can visit the film sets, theme parks, amusement rides, etc. The film city also has two hotels inside it, 47 sound stages, and permanent sets ranging from railway stations to temples.